This text is available as an audio book. In the beginning of 1968, after selling Mao's Red Book to university students in order to buy shotguns, the Party makes the book required reading. 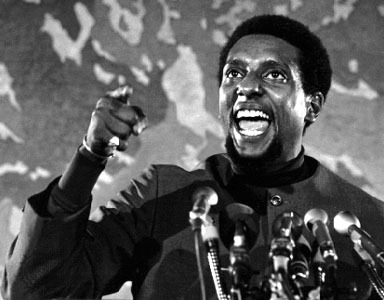 Meanwhile, the FBI, under J. Edgar Hoover, begins a program called COINTELPRO (counterintelligence program) to break up the spreading unity of revolutionary groups that had begun solidifying through the work and examaple of the Panthers — the Peace and Freedom Party, Brown Berets, Students for a Democratic Society, the SNCC, SCLC, Poor People's March, Cesar Chavez and others in the farm labor movement, the American Indian Movement, Young Puerto Rican Brothers, the Young Lords and many others. To destroy the party, the FBI begins with a program of surgical assassinations  killing leading members of the party who they know cannot be otherwise subverted. Following these mass killings would be a series of arrests, followed by a program of psychological warfare, designed to split the party both politically and morally through the use of espionage, provocatures, and chemical warfare. A few months later, J. Edgar Hoover publicly states that the Panthers are the "greatest threat to the internal security of the country." 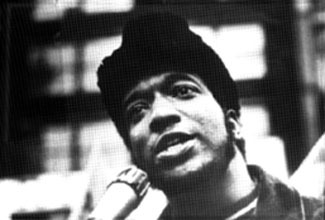 In Chicago, the outstanding leader of the Panthers local, Fred Hampton, leads five different breakfast programs on the West Side, helps create a free medical center, and initiates a door to door program of health services which test for sickle cell anemia, and encourage blood drives for the Cook County Hospital. The Chicago party also begins reaching out to local gangs to clean up their acts, get them away from crime and bring them into the class war. The Parties efforts meet wide success, and Hampton's audiences and organised contingent grow by the day. On December 4th, at 4:00 a.m. in the morning, thanks to information from an FBI informant , Chicago police raid the Panthers' Chicago apartment, murdering Fred Hampton while he sleeps in bed. He is shot twice in the head, once in the arm and shoulder; while three other people sleeping in the same bed escape unharmed. Mark Clark, sleeping in the living room chair, is also murdered while asleep. Hampton's wife, carrying child for 8 months, is also shot, but survives. Four panthers sleeping in the apartment are wounded, while one other escapes injury . Fred Hampton was 21 years old when he was executed, Mark was 17 years old. According to the findings of the federal grand jury, Ninety bullets were fired inside the apartment. 1 came from a Panther — Mark  who slept with a shotgun in his hand. 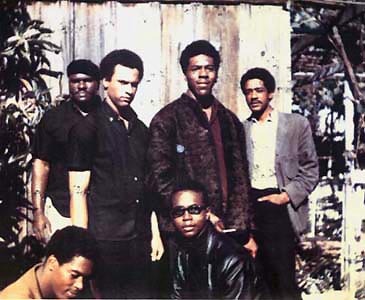 All surviving Panther members were arrested for "attempted murder of the police and aggravated assault". Not a single cop spent a moment in jail for the executions. Angela Davis: PBS Interview in 1998: "We can't think narrowly about movements for black liberation and we can't necessarily see this class division as simply a product or a certain strategy that black movements have developed for liberation.... We have to look at for example the increasing globalization of capital, the whole system of transitional capitalism now which has had an impact on black populations — that has for example eradicated large numbers of jobs that black people traditionally have been able to count upon and created communities where the tax base is lost now as a result of corporations moving to the third world in order to discover cheap labor." War Against The Panthers: A Study Of Repression In America by Huey Netwon, June 1980. Interview of Bobby Seale in 1996: "They came down on us because we had a grass-roots, real people's revolution, complete with the programs, complete with the unity, complete with the working coalitions, we were crossing racial lines. 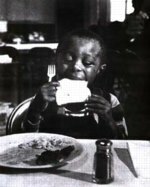 That synergetic statement of "All power to all the people," "Down with the racist pig power structure" -- we were not talking about the average white person: we were talking about the corporate money rich and the racist jive politicians and the lackeys, as we used to call them, for the government who perpetuates all this exploitation and racism." Note: This overview lacks a focus on the positive aspects of the Black Panthers and their work because of the great difficulty in finding anything but negative information against the Party and its struggles. Constructive sources of information would be greatly appreciated, please contact Brian Baggins.